B&O "Speedliner" RDC number 1961 slows upon crossing Highway 5, for a stop at Rossiter Junction on the Baltimore & New York Railway. June, I check this forum almost every day, hoping to see new postings. Over the past year or two, I've put up a number of layout and model photos. But I do not wish to be a space hog here! I really like to see what others are doing as well. There were very interesting threads on building a crane and a locomotive. I've often wondered what that person would be building next. This forum also may have lost members during the past two close-outs of two to three months or so each. The B&O coach-dinette RDC-2 "Speed Liner" makes a stop at Rossiter Junction, on its way west. I'm with you, I really would like to see more photos that gives me inspiration. I haven't posted in a while because I was having trouble accessing the sight. I thought john Boy gave up. 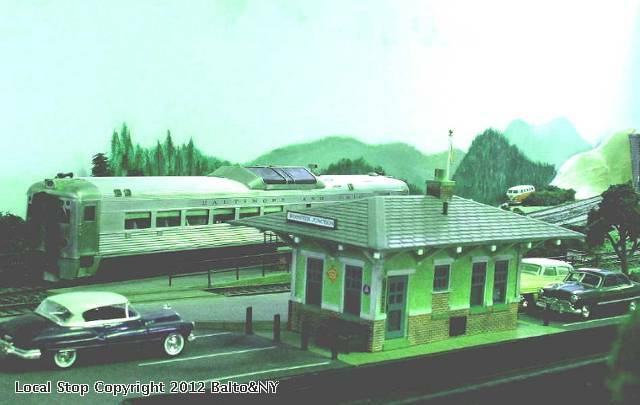 I like your clever modification of the Plasticville station, That may be my next project. 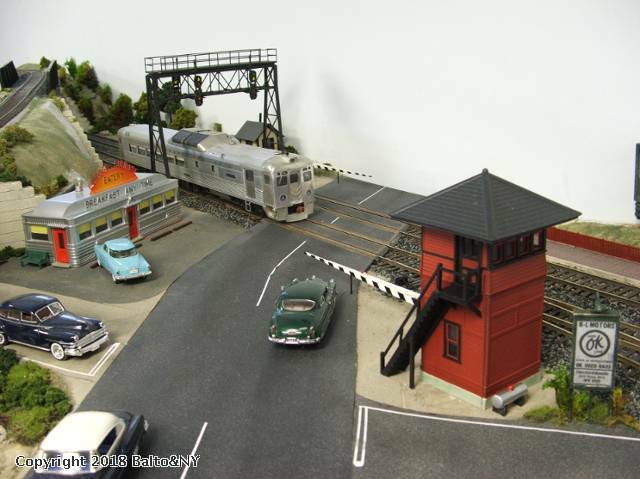 Here is an article I wrote a few years back as a presentation at my local NMRA Division on how it was done.